Sing Out! Workshop with Dylan Vaughn and Janice Harrington. All students are invited to participate in this unique workshop with my friends Janice and Dylan! We (Nicole Baumgarten, Vicki Gill and I) will be editing a special issue of the Journal of Language and Discrimination 2/2019 with many exciting research article on language and discrimination. Nicole Baumgarten and Victoria Gill organize this Impact Workshop with researchers working on linguistic discrimination, real estate agents and city officials. 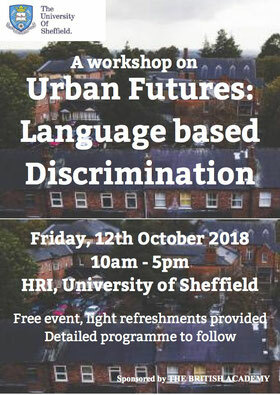 I will be presenting on Linguistic Profiling in the city: Accents and urban apartment search. 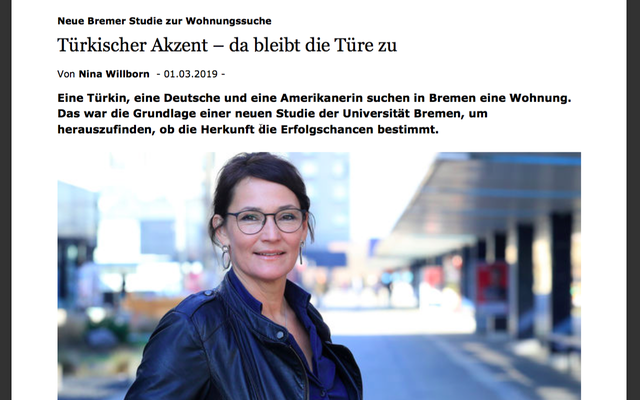 Together with Nicole Baumgarten (University of Sheffield), we were granted the British Academy Award of the Humanities and Social Sciences: Tackling the UK's International Challenges Programme for a Study on Linguistic Profiling on the Housing Market. 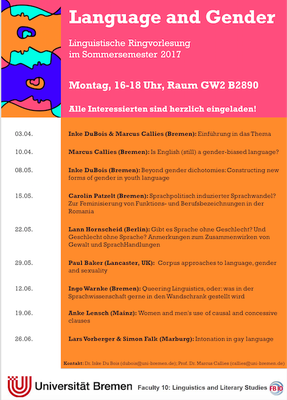 With my colleague Prof. Marcus Callies, I organized a lecture series on cross methodological approaches to Language and Gender at Bremen University. 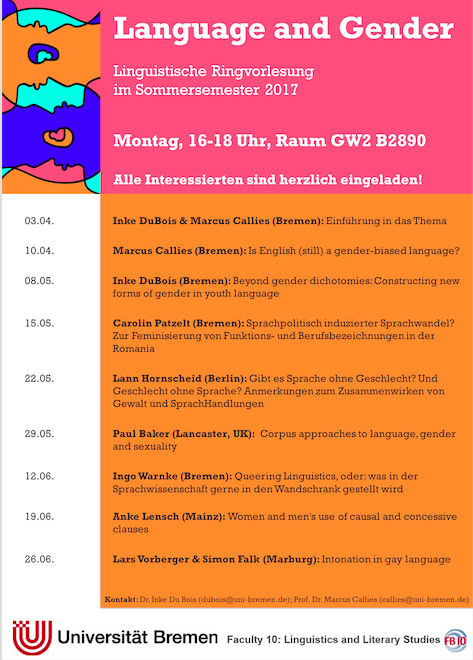 This lecture series will include Corpus Linguistic Approaches, Discourse Analysis, Conversation Analysis, Multimodal Interaction Analysis to Gender and Queer research. Click above to enlarge poster. I currently work on a research project on the complex communication processes within the making of the ARD Sportschau. For this project, we (Axel Schmidt, Institut für Deutsche Sprache, Mannheim and I) collected 33 hours of video material in the studio and stadion. 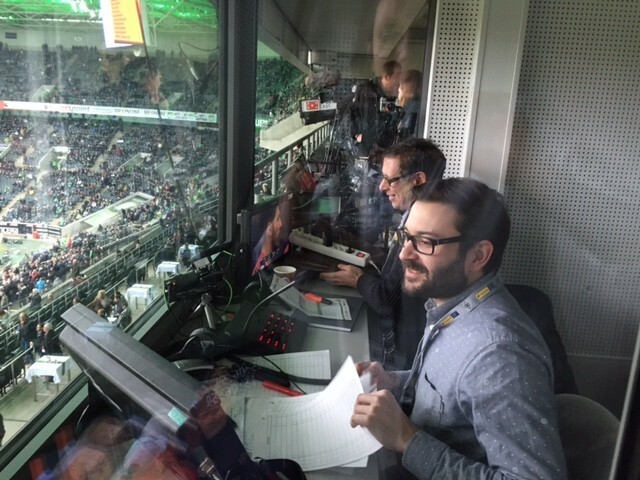 The foto below documents the data collection in the booth of soccer commentator Steffen Simon and his colleagues. The transcription in ELAN comparing and utilizing Norris' framework and analysis tools are now in progress. Norris, S. (2004). Analyzing multimodal interaction: A methodological framework. Routledge. 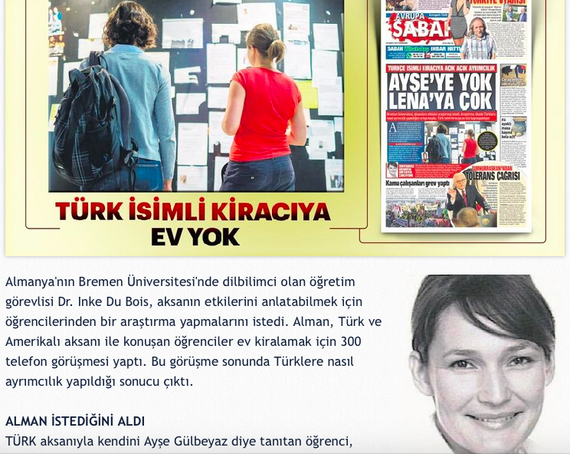 On my Research Gate profile, you find most of my publications. Chicano Englisch und Kiez Sprache: Sprachvielfalt und Sprachwandel?